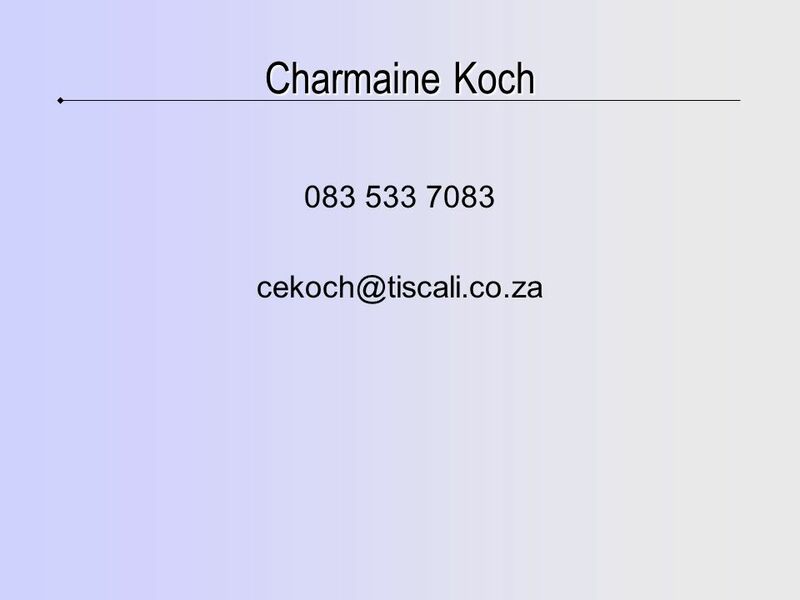 Financial Advice and Intermediary Services (FAIS) By Charmaine Koch. 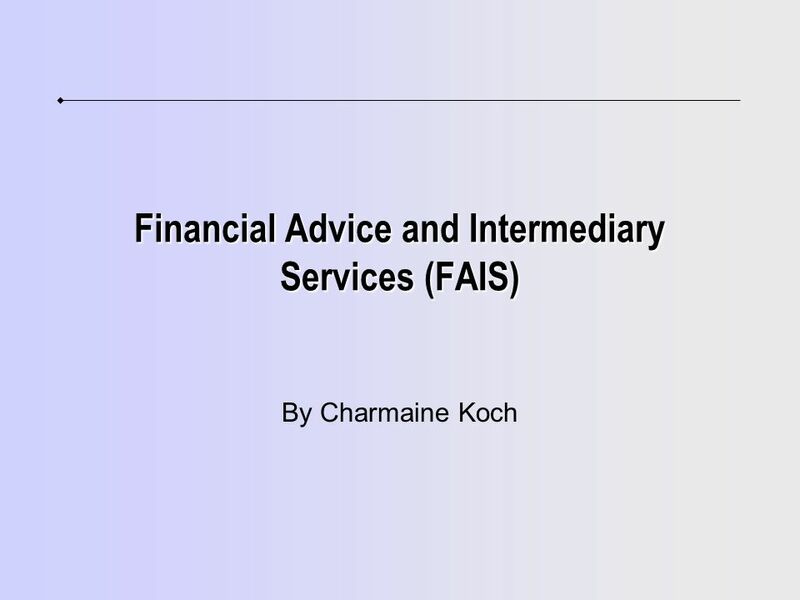 Download ppt "Financial Advice and Intermediary Services (FAIS) By Charmaine Koch." Why Choose Learnerships? SETA funding - ranging from R8000 to R per learner. Govt tax deductions – up to R pa tax deduction allowed per learner. Why Choose Learnerships? 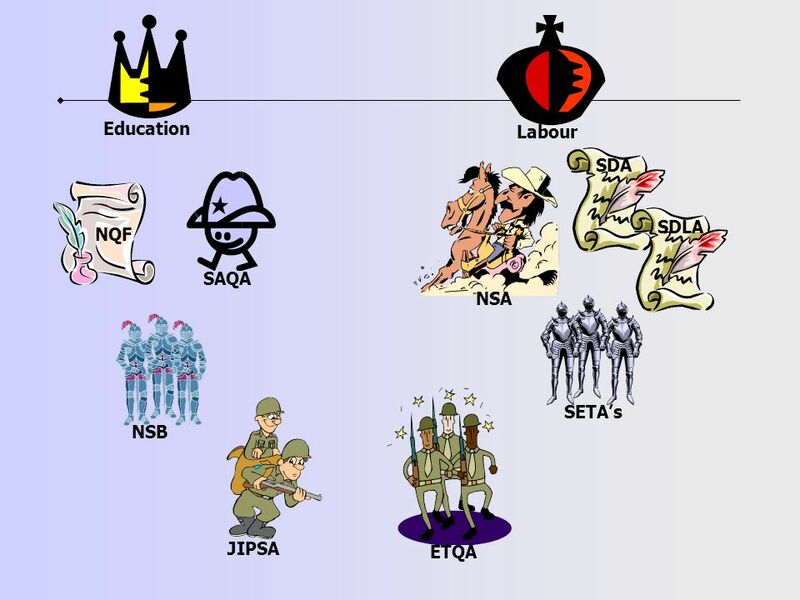 SETA funding - ranging from R per learner in most SETAs Govt tax deductions – tax deductions allowed per learner. An increasingly. “MAKING OUR MARK IN THE MINING AND MINERALS SECTOR” “HO IPONAHATSA LEKALENG LA MERAFO LE DIMINERALE” “SENZA UKUBA SIBONAKALE KWICANDELO. 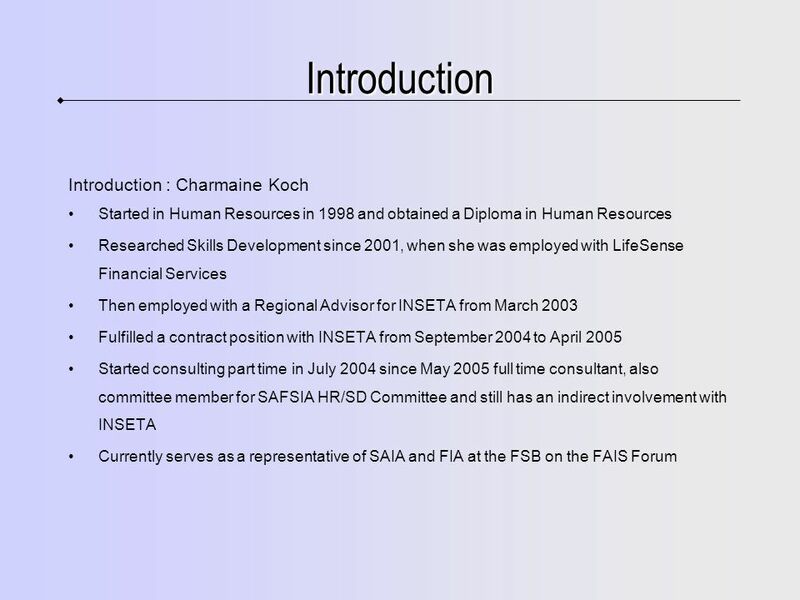 FIA Advisory Committee Charmaine Koch 15 November 2011. 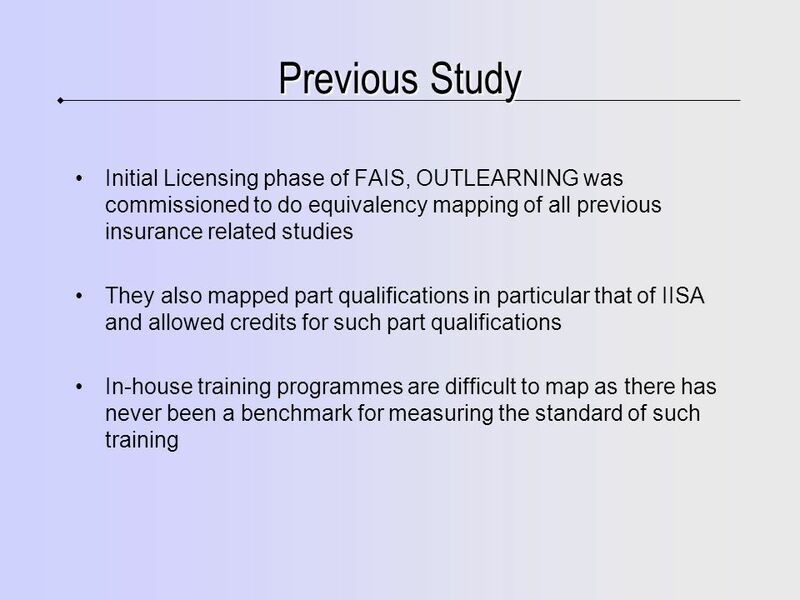 Learnership Implementation Division. 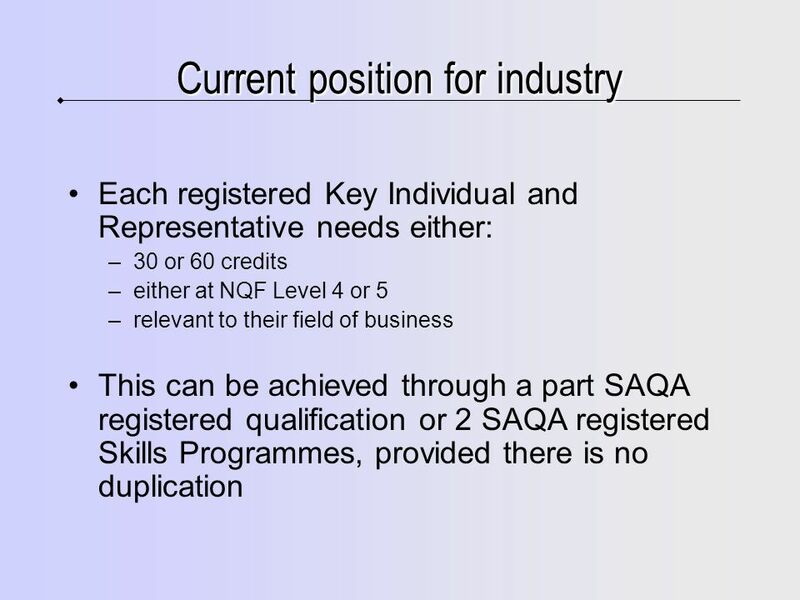 The skills development facilitators will serve as an extension of the regional office capacity from the view point. 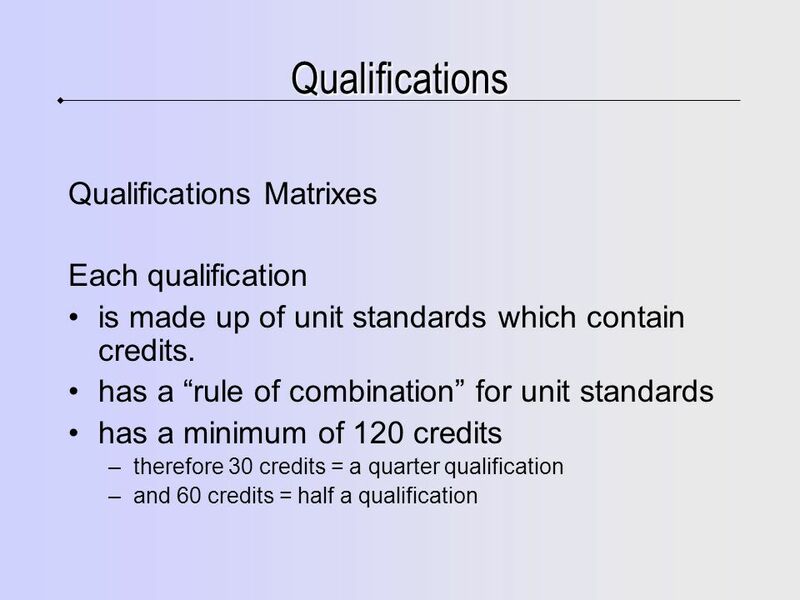 STANDARDS GENERATION OPERATIONAL STATISTICS 11 (56) Qualifications registered – includes reviews 152 (1275) Unit Standards registered – includes reviews. Transforming tourism THETA A presentation for Portfolio Committee by Leoné Whateley THETA ETQA Manager. A member of the Old Mutual Group 1 Integrated FAIS presentation Insurance Institute of Gauteng Forum Wednesday, 19/05/2010. INSETA COUNCIL ANNUAL REPORT BACK TO STAKEHOLDERS 2002/2003 Presented 10 th September 2003. 7 th November 2013 Understanding the New Grant Regulations unleashing your potential T R A I N I N G Imsimbi Breakfast Seminar 7th November 2013. 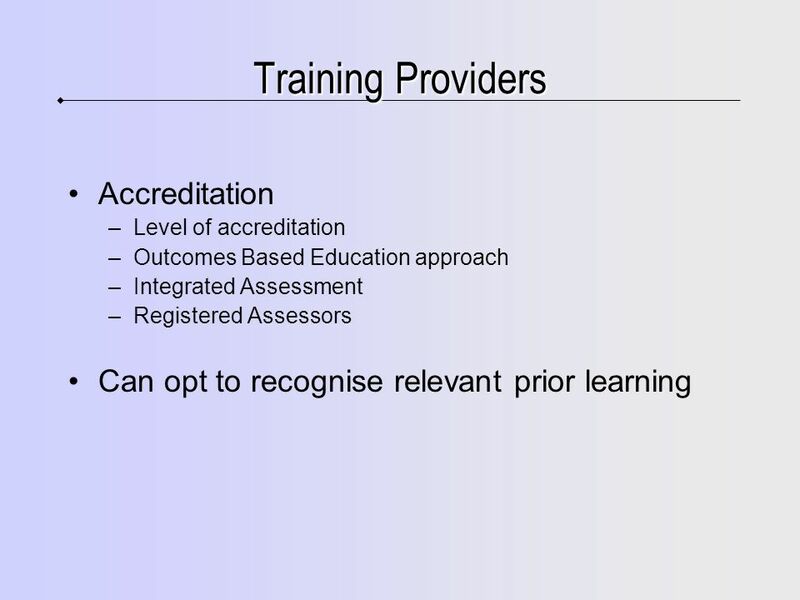 1 Local Government Sector Education Training Authority Presentation to AMEU: 10 February 2010: J Davies : SSP Manager. 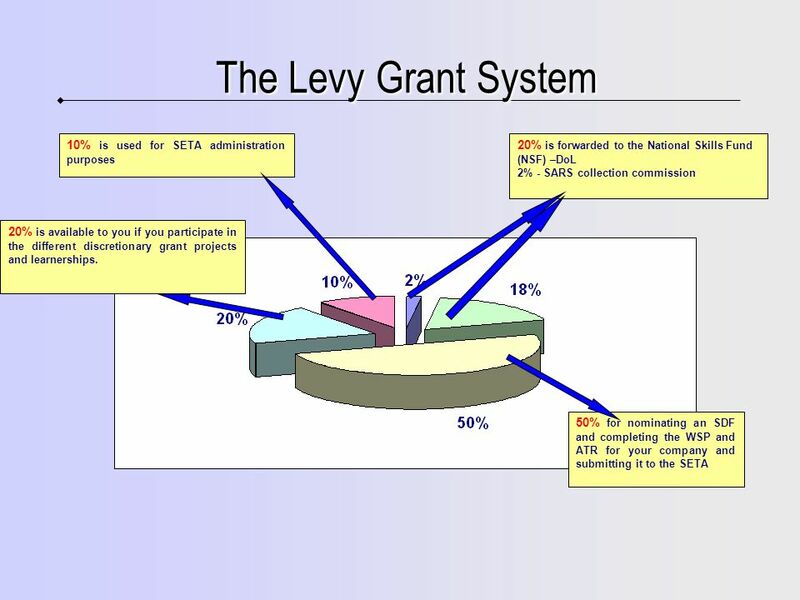 DEPARTMENT OF HIGHER EDUCATION & TRAINING SETA GRANT REGULATIONS 26 FEBRUARY 2013. MATERIALS TESTING QUALIFICATIONS BY LOUIS VAN RENSBURG KWAZULU NATAL DOT. 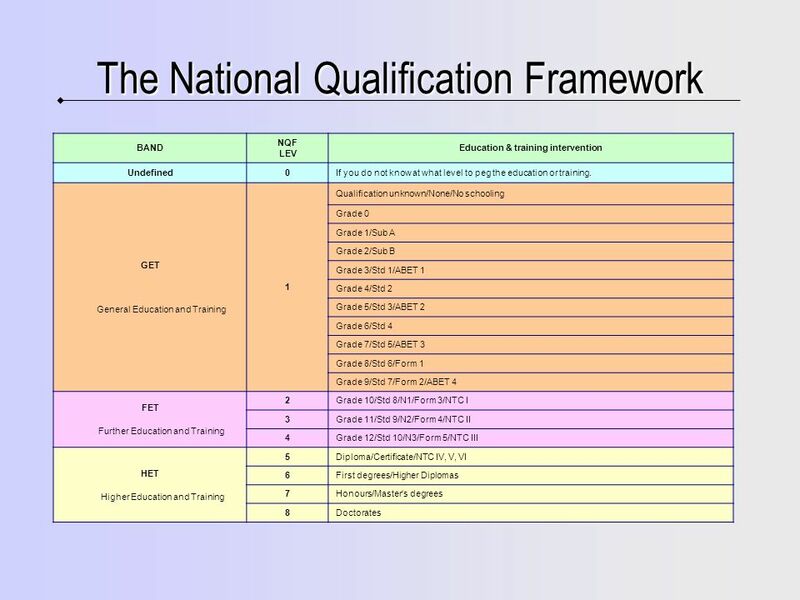 PRESENTATION ON THE NQF BILL TO THE PORTFOLIO COMMITTEE ON EDUCATION The South African Institute of Chartered Accountants 30 JULY 2008.